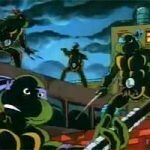 April 17, 2018 Kevin E.
Kevin Eastman of the Eastman-Laird team does most of the talking. while Peter Laird of Laird-Eastman does most of the thinking. 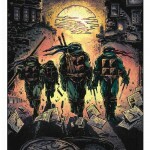 Eastman and Laird illustrate, write and publish a small press comic book that stars four Teenage Mutant Ninja Turtles who use martial weaponry to rid the planet of crime. The creators chatted with readers and signed autographs inside previous comic book issues Sunday as part of a three-day promotion at the Fort Worth-Dallas area Fantastic Worlds Bookstores. Another Eastman-Laird fan was a bit more inquisitive. “When is your next issue coming out? How’d you learn to draw like that?” the youngster asked. The questions, the gleaming eyes and the expressions of adoration were nothing new for the comic sketching duo. Since their first edition hit the stands in May 1984, Eastman and Laird have known nothing else. They were a success from the very beginning. 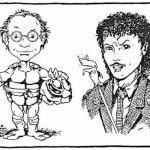 A role-playing game, a line of miniature figurines, a series of Turtle martial arts manuals and a multi-million dollar movie proposal have been the result of what started out to be a shot in the dark and feared to be a shot in the arm. After seven or eight publishing companies didn’t like some of their earlier work and said so in several rejection letters -which now hang along the walls of Eastman’s and Laird’s office in downtown Northampton, Mass. – they decided not to give up hope. 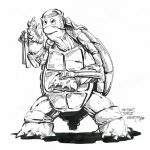 In December 1983, Eastman retreated to his pad and pencil late one night and sketched a masked turtle armed with nunchuks. He handed the drawing to Laird, his housemate at the time, who made a few revisions. They drew three other turtles identical to the first one, came up with a name for them and launched their dreams into reality. 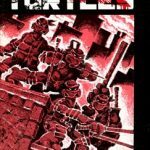 Anticipating the worst from publishers, they decided to print and market the Turtles’ first edition themselves with a small loan and Eastman’s entire income tax return. 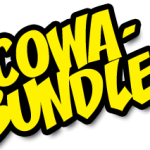 They could afford only 3,000 copies, which now are valued at $75 each. We thought we would never get rid of them,” Eastman said. “We figured we would have to burn them in the fireplace. Each of their eight editions has outsold its predecessor, and more than 105,000 copies of their latest work has been circulated. “It doesn’t seem real,” Eastman said. “The feeling lately is that we don’t have much control of our life anymore. “It’s Turtles, Turtles, Turtles. But that’s all we care about right now. For a long time, we wanted to draw comics so bad, and now we`re doing just what we always wanted to do,” he said. 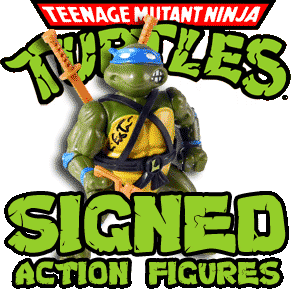 Laird acknowledged his agreement by shaking his head and continuing to draw a Turtle to sell for $l to one of readers who had gathered to hear their story of triumph. They seem as different as night and day. Eastman uses his right hand and Laird is left-handed. But inside – where they say it really counts – they are much the same. In fact, that essentially is how they became acquainted. 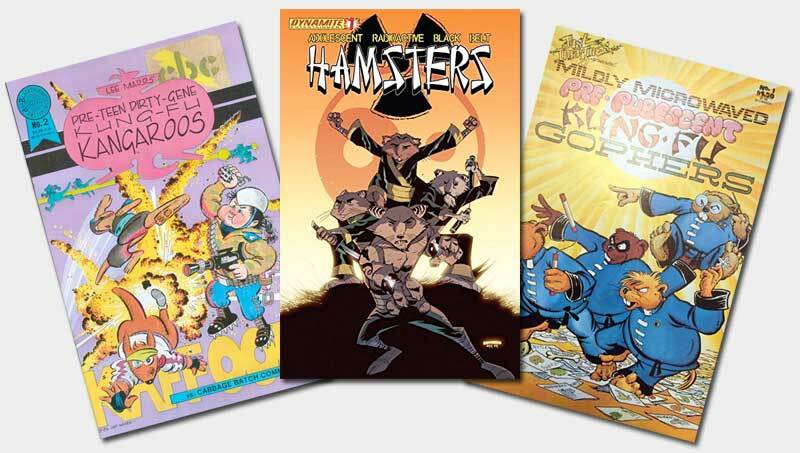 In 1982, Eastman was riding a bus home from his job bagging groceries when he began reading a small, locally produced comic book that he had found on the floor. When he got home, Eastman gathered up his drawings and hurried off to offer his services to the comic book’s editors, who said they were not interested but told him he should meet Laird, an artist with the same style. Eastman wrote Laird a letter. Later they met, compared drawings and have been friends – and partners – ever since. As youngsters growing up in middle-class families, they often doodled away their time, both at home and school. In spite of fatherly advice to seek more secure jobs, they proceeded with their desires to become professional artists. Now the two artists arise from their beds shortly after dawn, spend much of the morning in their studios, tend to business at their office in the afternoon and return to the drawing board for three or four more hours. With the recent addition of an office manager and a licensing agent to their limited office staff, Eastman and Laird have been able to devote more time to writing and drawing the key to their success, they said. “We want to give the readers exactly what they want. They don’t want superheroes romping around in skin-tight clothing anymore. They want excitement and adventure,” Eastman said. Apparently, their line of thinking has been accurate. 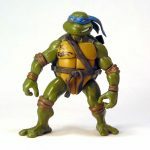 The Ninja Turtles, a parody of Conan the Barbarian and Ronin comic characters, has been parodied itself, including Preteen Dirty Gene Kung-Fu Kangaroos, Adolescent Radioactive Black Belt Hamsters and Mildly Microwaved Pre-pubescent Kung Fu Gophers. Despite the competition. Ninja Turtles has been dominant in the Fort Worth-Dallas area, said Bob Wayne, President of Fantastic Worlds, Inc.
Ben Keenan, a 13-year-old Southlake eighth-grader, spends $20 a week for comic books to add to his collection of 700-plus. While he admits to being an avid Turtles fan, he also likes to read other “silly” and “funny” pieces of entertainment. One of his favorites: The adventures of “Peter Porker” a crime-fighting pig with super-hero powers similar to Spiderman. “I just like to read them,” Keenan said, adding that he hopes to capitalize on his investment later.